Malware creators are nefarious to the point that they make fatal infections to extract your financial related information or keep your PC from working by any methods. What you require for a perfect virus protection is the best antivirus programming on your PC. Because of the fortunate stars, as the mammoth pioneers in the security business do convey their best items for free in the market.. Numerous associations offer free types of their predominant antivirus programs for their clients. My best picks are Comodo Free Antivirus, Avast! Free Antivirus, AVG Anti-Virus Free, Norton and the list closes with more other similar choices however make a point to look through the other free products to understand which is the best free anti-virus product that suits best to protect your system. 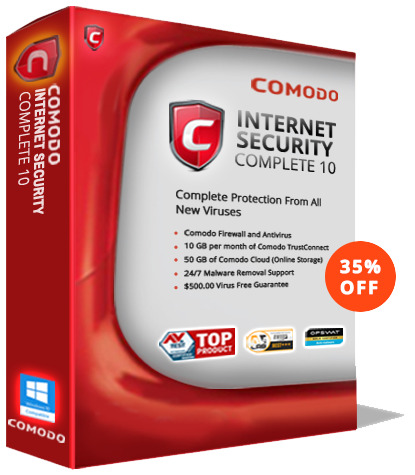 Comodo offers the best anti virus protection application accessible in the market. It leads the internet security market as it is designed and developed fuses the best of its development – the Defense+ innovation, regulation procedures, sandboxing and what not to guarantee free virus protection that is 100% effective. Comodo Antivirus works much smarter when compared to the other available options in the market as it isolates the suspicious or unknown file and executes the same in the segregated condition denying obstruction to the organization’s typical operations. The Antivirus is compatible to protect Windows 10, Windows 8, Windows 7, Windows Vista, and Windows XP. It stays updated on the most recent virus or any other malware definitions to make it more powerful to overcome even the latest malware dangers. AVAST Free virus protection or antivirus software certainly ought to be another best free antivirus programs. The free antivirus from AVAST is feature-packed antivirus and antispyware framework protecting your PC from risks from the web, your files, messages, and even suspicious or unknown codes. It includes the “heuristics engine” which recognizes the past obscure dangers also. AVAST has been into antivirus since 1988 and is every now and again alluded to as the most presented antivirus programming. AntiVirus Free from AVG is a standout amongst other free antivirus programming frameworks available and is likely our undisputed choice. AVG AntiVirus Free is certainly one of the best antivirus and antispyware applications that works well with an email scanner, associate scanner, organized filtering options, customized updates, and that’s just the beginning. There is no convincing motivation to pay for an antivirus program when AVG gives a power stuffed free antivirus framework to head out your dangers.